A day in the life of the Dartmouth Tourist Information Centre, with manager Sue Thompson. 9.30am We open up at 9.30 and if it is high season we often have people following us in through the door! One of the first jobs of the day is to start up the Newcomen Engine, which is housed in the information centre building, with its own museum. Thomas Newcomen was born in Dartmouth in 1663, and he invented a water pumping engine powered by steam, that revolutionised the mining industry. We have one of his engines here - built at the end of the 18th century and a direct descendant of his first engine, which was built in 1712. We are already planning to celebrate the engine’s 300th anniversary next year, liaising with other organisations in the town and with the Newcomen Society. We check the engine every day and thankfully only have to flick a switch to make it go, but engineers come twice a year to give it a proper going over. A celebration of Newcomen’s work would be a great thing for Dartmouth. Educational, historical and heritage - it would tick a lot of boxes. 10am By this time we are usually really busy answering calls and dealing with people coming in to make inquiries. We promote everything about the area – attractions, the nice places to eat and drink, shops, walks, activities on the river and special events. We offer a last minute booking service for visitors who come in to see us, with Late Availability showing on our website 24 hours a day, and also assist with customers searching for their perfect holiday stay, whether hotel, bed and breakfast or self catering. The question we are asked every day from January onwards is: “When are the Red Arrows coming?” Regatta is obviously the town’s busiest time and bookings for accommodation for the Regatta start as soon as the last one finishes. 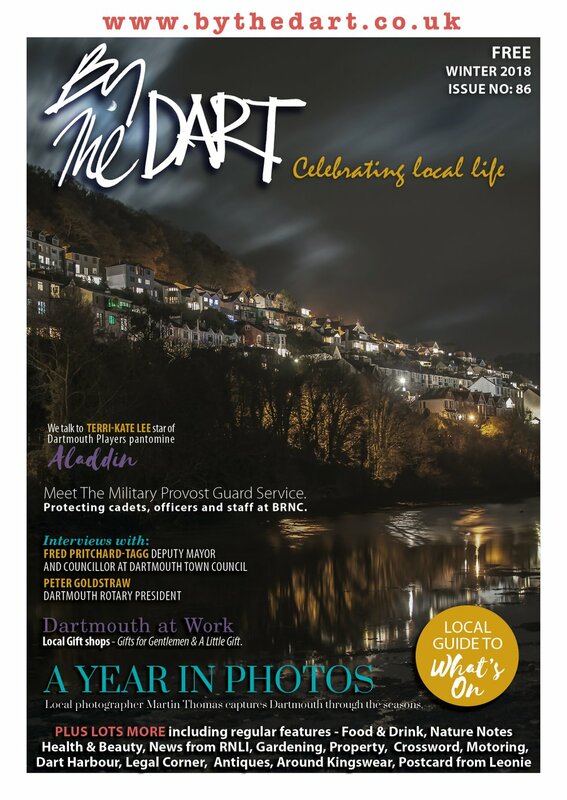 Dartmouth is lucky to have lots of popular special events on its calendar – from Candlelit Dartmouth at Christmas to the Comedy Festival, Music Festival and Food Festival. There’s so much going on to attract visitors. 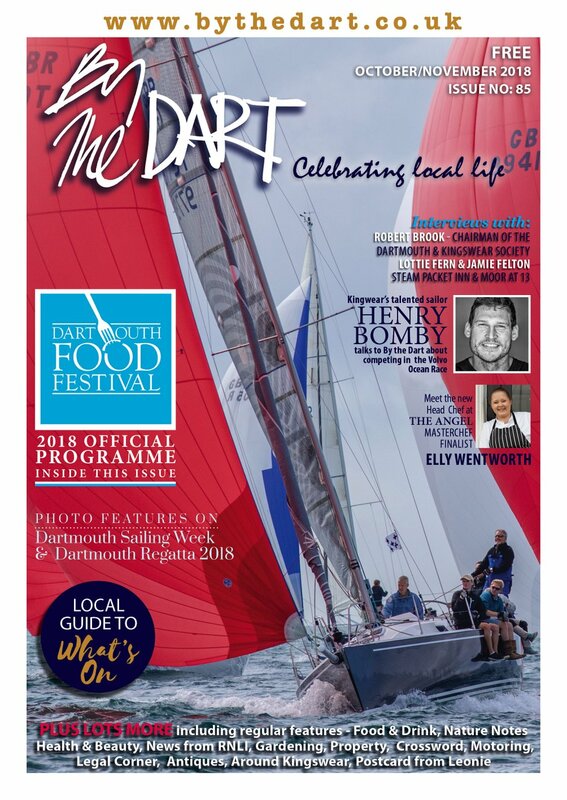 We are very busy with our marketing at the moment, making more use of our website and promoting Dartmouth via social networking such as Twitter and Facebook. The Dartmouth Tourist Information Centre is a private company, self funded and not for profit. Although our building is owned by South Hams District Council we are not funded by them. 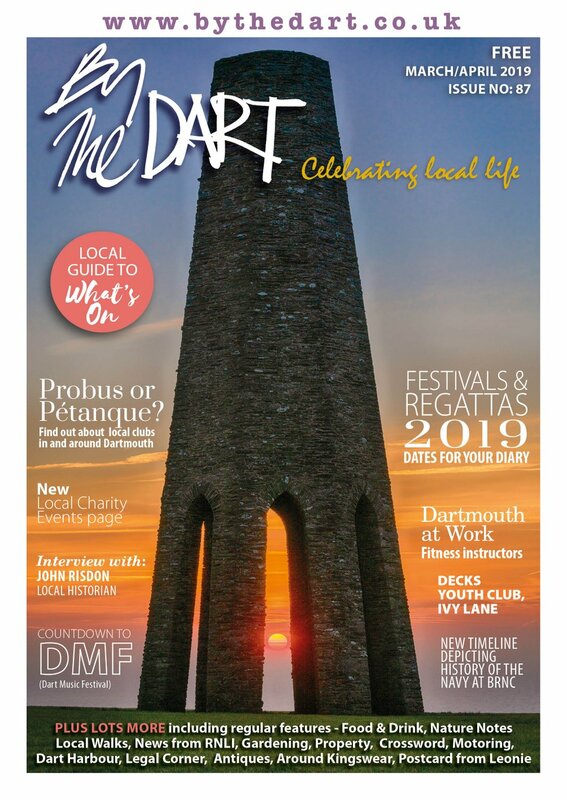 We generate our income by advertising revenue in the main, principally through the publication each year of our brochure Discover Dartmouth. Any time that is not spent answering queries from the public and finding out information for them is usually used up in admin including preparation of the brochure. 11am Every week we publish a What’s On list of events for the local area, so we have to gather information for this and compile the list. All our advertisers receive a copy and we also give them out to people who come in to the centre. It’s quite a job every week, but worth it because it circulates information to such a lot of people. 12.30pm By now Dartmouth is really busy with visitors arriving by coach, rail and river. We are the busiest Tourist Information Centre in the South Hams and had more than 160,000 people through the door last year – that’s just through the door and doesn’t include phone inquiries and web inquiries. That figure is growing too! We have six members of staff and we all work part time. The centre is open seven days a week at the moment, six days a week in the winter. We always have at least two people on duty and we are asked all sorts of questions – although the most unusual was a local gentleman who came in and asked: “Please can you help me find a girlfriend!” We weren’t successful with that one, but we did suggest a dating agency! We always try to help whatever the question – if we can’t answer directly we’ll suggest other things to try. One lady was looking for somewhere to stay – but would only go where she could take her very noisy parrot. We were able to help that time. We get inquiries from people who want to see Dartmouth in an hour, others are here for weeks and want to use it as a base. We always draw visitors’ attention to the shops, restaurants, pretty buildings and local businesses. We are here to support the town. 2pm Not everyone realises that we also help local people who are planning their holidays elsewhere. We have information for all sorts of destinations – London, the Cotswolds, Dorset. We can also help out with travel plans and bookings. Another thing we do is sell national rail tickets and National Express bus tickets. We are an agent for both. People can come in here and leave with their ticket in their hand. It’s particularly useful for elderly people who don’t have access to booking via the internet. 4.30pm Inquiries continue through the afternoon, and people come in to buy books, postcards, children’s story-books, maps, pens and souvenirs. We have a display cabinet where galleries can show samples of their work, and quite often our customers will ask to buy items from that, which is nice for the artists. But the main attraction is the town and the river and we constantly direct visitors to the private hire boats, the canoe trips, the pleasure boats, the castle ferry. The river is what makes Dartmouth so special, and with Britannia Royal Naval College standing as a backdrop it all looks very impressive. We sell tickets for the naval college tours, which are extremely popular, and for the volunteer band concerts, which are also highly sought after. 5pm Time to tidy up, make sure the leaflets are all in order and that we have everything on display that should be, and do all the cleaning ourselves, which keeps costs down. It takes ages to switch off all the computers! Evenings There are often meetings in the evening, things like the town council, festival committees and the chamber of commerce, always looking for ways to promote the town. We also have meetings with our volunteer management committee, who are a great bunch and very dedicated. It keeps me busy!